For the longest time, my favorite smell in the world has been that of freshly baked bread. The aroma is just such a fulfilling and comforting one that it has been known, on occasion, that I have hung around the bakery section at the mall a little longer than what should be deemed acceptable. The obvious thing to do therefore was to start making my own bread at home but I quickly realized that making dough for the bread was a tough, demanding job that took up quite a lot of my time. 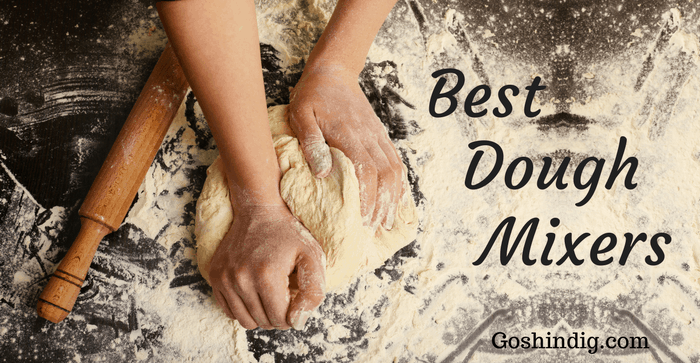 A dough mixer was needed – hopefully the best dough mixer! Mixing and kneading your dough can be very hard work, you can spend up to 15 minutes of constant mixing and kneading which invariably takes its toll on your wrists. The dough mixer, or stand mixer as it is more commonly known, takes all the huff and puff out of making dough, whether it be the mixing or the kneading. This is because it possesses an inbuilt motor that is purpose made for this exact job. Everyone from your weekend bakers to full-time commercial bread makers can benefit from a dough maker thanks to numerous attachments that can come with the machines. This enables you to make delicate meringues and whipped creams as well as demanding dough recipes such as pretzels and bagels. A commercial dough mixer can cost fortunes and tend to be dominated by one company, Hobart. A good home dough mixer benefits though from being a lot more affordable with a wider range of choice. Hosting shindigs have proved to be a transformative activity with the aid of my dough mixer. I can think of no better foodstuff at a backyard party with friends than warm, freshly cooked bread rolls. If you really want to show off, you can always fire up your outdoor pizza oven and enjoy some awesome slices that have been made with the perfect pizza dough recipe thanks to your dough maker. 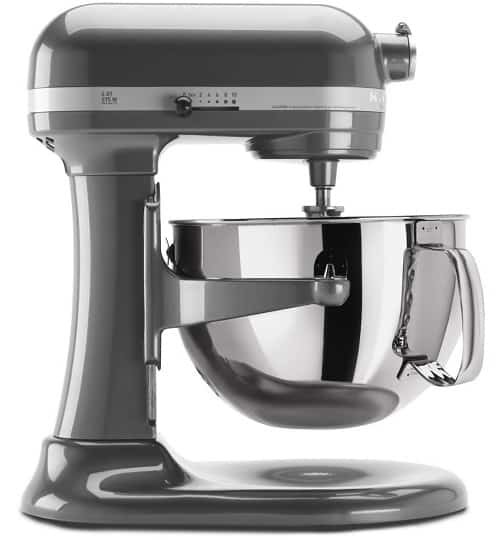 Kitchenaid is the most recognizable brand when you think of a dough mixer for home use. They have built a reputation over several decades of quality craftsmanship with reliability in abundance. The true test of quality is always thought to be whether items retain their value with each passing year and it is one that Kitchenaid stands up to time and again. They really are a sound piece of investment. The design of the Kitchenaid has always been one of its biggest selling points. The gorgeous retro features it possesses make it a real crowd pleaser but, unlike some other similar models, this does not equal a dough mixer that is just style over substance. As a dough maker, the Kitchenaid does a properly good job, but it’s the host of alternate uses that really stands it apart from the competition. When you unlock the power hub which is located on the front of the head, you are able to use any of the fifteen optional attachments that have been specially made. 3 piece pasta roller and cutter – Stainless steel rollers and cutters that allow for smooth rolling and clean cutting of all your pastas. It comes with a pasta roller, a fettuccine cutter and a spaghetti cutter. Spiralizer – Mixing up your salads have become a very fashionable thing to do. The spiralizer attachment gives you a chance to put your own stamp on all your fruits and vegetables by spiraling, coring, peeling and slicing. Food processor – The food processor attachment allows you to dice, slice, shred or julienne a whole host of foods such as fruits, vegetables and cheeses. It will dice your food from anywhere between 1/16th of an inch to 1/4 inch which is a very good range. Gourmet pasta press – The gourmet pasta press attachment comes with six interchangeable pasta plates which allows you to make spaghetti, bucatini, rigatoni, fusilli and large or small macaroni. Food grinder – The food grinder attachment comes with two grinding plates. The coarse grinding plate will make mincemeat of your food (literally), and allow you to make juicy burgers and meatloaf whilst the fine grinding plate will help you grate hard cheeses and make breadcrumbs. Ice cream maker – The ice cream maker attachment allows you to make two quarts of soft-serve ice cream, sorbet, or gelato in 20-30 minutes. All of these extras are all well and good, and they certainly enhance Kitchenaid’s grip on the stand mixer market but we’re here because we want the best dough making machine for home use. With this in mind, how does this particular machine stand up to the test? The Kitchenaid Professional 600 Series comes with an aluminum burnished spiral dough hook. The coating is not intended for use in your dishwasher and is often the source of much ire by owners when they have mistakenly washed it in one as it can cause corrosion. Spiral dough hooks knead the dough by pushing it off the bottom of the bowl as opposed to the alternative C dough hook which kneads the dough by pushing it off the side of the bowl. You will often hear people complain about C dough hooks as it is suggested that the dough has a tendency to climb up it during the kneading process. Spiral dough hooks are designed so this doesn’t happen and are often seen as the better option. Please be aware that Kitchenaid advise not to use hooks that are not specifically made for your model, although there are some pretty handy discussions you could read up on which might suggest otherwise. If burnished attachments aren’t really your thing and you crave to wash your Kitchenaid parts in the dishwasher then powder coated alternatives are available and relatively cheap. This is actually a massive part of why I chose the 600 series over the often more lauded Kitchenaid 6000 HD which arguably is a lot better suited for large quantity dough making (up to 8 loaves). The DC motor on the 6000 HD is much better and much quieter than the 600 thanks to its 1.3HP output but the 6000 is fairly limited in terms of available alternative attachments due to its rather unique design. The narrower tulip bowl means that the beaters have to be especially designed for it and can’t be replaced by alternatives. If this is no cause of concern then the 6000 HD is an absolute workhorse of a dough mixing machine but I prefer options at all times with my stand mixers. The 575 watt motor on the Kitchenaid Profesional 600 is more than sufficient for my needs, I can make pizza dough which has led to some awesome Italian themed picnics and can make batches of dough sufficient for up to four loaves of bread which is plenty for my household. The Kitchenaid is solidly made and has a great weight to it. This can be seen as both a help and a hindrance, depending on your own specific circumstances. At 29 pounds, it is heavy and not something you will want to be moving around frequently. This probably suggests that you will need to find a permanent home for it in your kitchen. However, with this weight comes sturdiness – this is not a machine that will be going on a journey across your worktop every time you turn it on. All in all the Kitchenaid Professional 600 Series is an awesome machine which will leave you more than satisfied if you are looking for a quality dough mixer machine for home. It handles the dough making process extremely well if you stick rigidly to what the instruction book advises you to do. In writing this best dough mixer review, I tried to be as comprehensive as possible and so read up on some of the latest reviews on Amazon where there seems to be a recurring problem with residue that is leaking into dough mixtures from the bowl. From what I can gather, Kitchenaid has switched bowl suppliers so that they are now made in India. With these new bowls there is often a preservative coating which is added to the bowl which seems to be the source of the leakage. Personally, I never encountered this problem but the solution seems to be washing the bowl before use with baking soda paste. Bosch offer the best alternative as a dough mixer that I know of and in some instances, outperforms the Kitchenaid. The universal plus stand mixer doesn’t look like a lot of its competitors and this is viewed as both a negative and a positive depending on who you are asking. For sure, the Kitchenaid has the aesthetic appeal on lockdown thanks to its retro curves but it does tend to have to be a permanent fixture on your countertop due to its weight. As the Bosch universal plus is powered by a bottom, belt driven transmission, it weighs in at roughly half the amount of its competitor. This makes it a lot more manageable for those who might otherwise struggle with the Kitchenaid, meaning that although you can find a permanent home for this machine on your counter, you can just as easily store it away in a cupboard, out of sight until you need to call upon it. 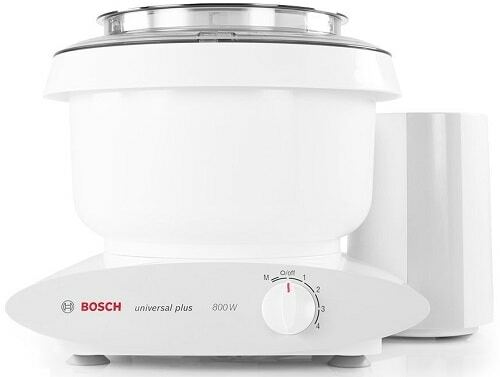 Where the Bosch universal plus really shines though is as a heavy duty dough mixer machine for home use. It will easily handle fifteen pounds of dough, thanks mainly to the aforementioned transmission. The transmission is the cylindrical structure you will notice on the right hand side of the machine. Just like the power hub on the Kitchenaid, this is where you can place the many attachments you can buy with the Bosch universal plus. What sets this hub apart though is that it can act almost like a smart motor. It recognizes when there is a heavy dough mix in the bowl and changes its speed and power output accordingly. Therefore, when things start getting tough, the dough maker will actually rotate slower but with a lot more power, thus ensuring a quality dough without the fear of burning out the motor which is a criticism aimed at some of its competitors. Speaking of the transmission, and something I was unaware of until I started writing this article, the one in the Bosch universal plus is sealed. This might not instantly have you whooping and breaking out the champagne as you read that sentence but for me this is a massive plus for this dough maker. I do love the Kitchenaid but it is almost taken for granted that at some point you will have oil leaking from the motor that you will have to fix and if you’re really unlucky it will decide to spill into a batch of dough or batter. Although spillage into your food is not going to happen because of the positioning of the motor, the fact that the motor bearings are sealed means there will be no fiddly repair jobs required at some point in the lifespan of your Bosch dough maker. Back to the dough making capabilities of the Bosch, you will notice that the dough hook is not a traditional C hook or a spiral one. The dough hook has a dual bar and blade design which tucks, folds, and stretches as if the dough were being kneaded by hand. This, it is suggested, encourages maximum gluten development. With this hook, every four revolutions of the bowl means that 100% of the dough has been kneaded. I’m not clever or technical enough to tell you if that’s exactly true, but it’s a big claim and if correct is mightily impressive. 800 watt motor. This is significantly more power than many of its rivals. 4 speed settings and pulse function. I do quite like the reduced number of speed settings, it kind of simplifies things. Suction pads – The Bosch universal plus uses four suction pads to help keep it in place on your counter top. Even when pushing this dough maker to its limits, it will not move an inch. The curved splash ring allows you to cram in a little more volume if you need more than its 6.5 quart capacity. Plethora of attachments. 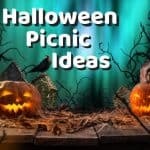 Including but not limited to: Bosch universal plus food processor, Bosch universal plus meat grinder, Bosch universal plus slicer / shredder and the Bosch blender. An average lifespan of 27 years. This is the claim that is made by Bosch but unfortunately it’s not one that I can confirm or deny. The longest current use by friends and associates is 12 years for an older model but every single owner questioned is more than satisfied with their universal plus. 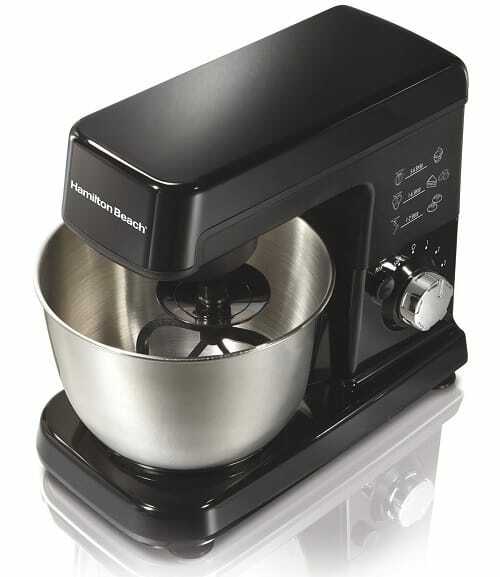 The Hamilton Beach 6 speed dough maker is an ideal entry level stand mixer that offers affordable home baking whilst boasting some nifty extras that units many times its price consider a luxury. The planetary mixing action is definitely a welcome feature. With this, the Hamilton Beach unit ensures that a greater percentage of the bowl surface will come into contact with the attachments. This should mean that the chances of you having to scrape down the sides of the bowl after use are greatly decreased. Other things to admire about this unit are the suction pads that have been lauded already in the Bosch dough mixer, the fold setting which allows you to incorporate more air into your mixtures and the tilt-up head which lifts out of the way for easy bowl access. The Kenwood titanium kitchen machine is a much better known product in Europe and especially the UK than it is in the states but it is something that should definitely be on your radar. It is often billed as the Kitchenaid killer and when looking at some of the specs it’s hard to disagree. Firstly, the motor is rated at 800 Watts and boasts dual motor ventilation points which allow hot air to escape. This prevents it from overheating to preserve the life of the motor. 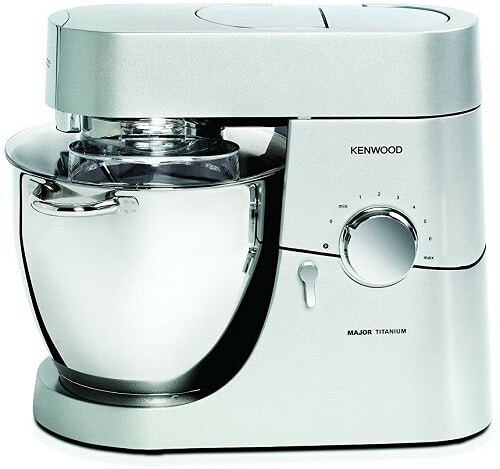 To add to this, all the attachments that come with the Kenwood titanium kitchen machine are stainless steel. This is a massive upgrade on powder coated alternatives you might find on other machines that are susceptible to chips and breakages. The design is also one could turn to when trying to identify differences between this and the Kitchenaid. With the success of the Kitchenaid, the inevitable copycats have appeared and suddenly the market has been flooded with retro looking machines. The Kenwood offers a modern, sleek look to its unit that may very well be more suited to the more modern, fashionable kitchens of today. Best of all, the Kenwood chef titanium comes with a whopping 5 year warranty that will certainly put many a mind at ease. The Cuisinart 12 speed stand mixer pretty much encapsulates everything that’s tricky when deciding upon a dough mixer that is right for you. Mainly that everyone has an opinion, one way or the other, whether particular features on the unit are good or bad. The point being that everyone perceives what they want in a dough maker differently and are able to tolerate things that others may not. For what it’s worth, I have owned the Cuisinart mixer and found it to be a very good machine although with a few quirks. The main problem I found was with the bowl design which I found could not cope with as much real life quantity of ingredients than what it stated. 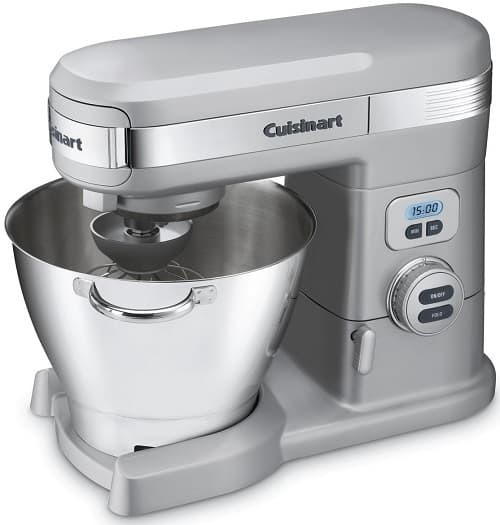 That being said though, for small to medium batches, the Cuisinart stand mixer is a decent option at a cheaper price point to some of its more prestigious competitors. Style – The style of home dough mixer can impact your baking experience greatly depending on which one you choose. Tilt head dough mixers for example generally require less counter space than bowl lift dough mixers. They tend to be smaller and designed more for basic batters for cakes and cookies. Because of this you will tend to notice that the wattage on tilt heads is less than that of a bowl lift mixer. Swapping attachments is a lot easier on tilt head dough makers due to the ease of access the tilt head affords you. However, it’s a lot more difficult adding ingredients on the fly than it is when using a bowl lift mixer. Bowl lift mixers are a much more bulky piece of equipment all round. The bowls, the motor and the base are all larger than the tilt head counterparts. If you have enough space on your countertop though it is often seen as worthwhile getting the larger device. The design of bowl lift mixers makes it easy to add ingredients without stopping the machine and some form of temperature control is possible by placing hot or cold water underneath the bowl which can aid in the making of certain foods. Bowl lift mixers tend to be the heaviest, most powerful dough makers for home use that you can get, therefore finding a place for it and making it its permanent residence is recommended. With this bulk does come a lot more bowl capacity however. So if your dough production is a lot higher than the average persons, this is the style of dough mixer you will want. The bottom drive mixers like the Bosch we feature further up the page benefit from exceptional accessibility. There is literally nothing impeding you when you want to add any extra ingredients. Bottom drive dough mixers are smaller and lighter than both tilt heads and bowl lift mixers which make them ideal pieces of equipment to store away somewhere convenient and bring out only when needed. This might be necessary as they don’t have the classic mixer look that many people desire for their countertops. Functionality – What do you actually want from your dough mixer? Is it the need to just make dough or do you want a machine that can also tackle jobs such as chopping, slicing, blending and mincing. Kitchenaid were always at the forefront of innovation with their separate attachments which could be incorporated to make your machine transform into a plethora of useful gadgets. The competition has recognized the appeal of multifunctional dough mixers though and has mainly all caught up with them. There’s a whole host of attachments available and I advise researching which attachments are available for particular brands and even down to model numbers, and whether they will be of any use to you. Also read reviews of customers who have owned these before as there are some highly rated stand mixer attachments and some really poor rated ones. Research is also highly important to know just what your dough mixer parts are made from. Some will be suitable for dishwashers like stainless steel whips or powder coated beaters but some most definitely won’t be such as burnished aluminum dough hooks. Washing stand mixer attachments by hand can be tricky, particularly some of the more intricately designed beaters. Look for attachments that are dishwasher-safe so that cleaning will be less of a headache. Always check the instructions first, as even though items may be deemed to be dishwasher safe, they can still be damaged if washed incorrectly. Price – There’s no two ways about it, a good dough maker is pretty expensive. The most expensive dough makers will have all metal gearing instead of cheaper plastic gearing. This helps preserve the motors life and will afford you some extra grunt and torque. Understanding whether you need this extra power can help save you money in both the long and short term. With the more expensive machines, you will also get a lot more fancy additions such as Pause functions, countdown timers, fold settings and soft start settings. These might all sound brilliant, must-have additions that you simply have to have but ask yourself if you honestly do need them as it could be the difference of a couple of hundred of bucks.